Windows are rated by u-value: the rate of heat flow through a glazing system (double pane glass). A double pane window set in a metal frame has a u-value of .95. A double pane window set in vinyl frame has a u-value of .47 and if you add the Low E2 coatings and a warm edge spacer, it drops even lower to around .30. The difference is astounding and the comfort level inside the home is a pleasant constant temperature which removes that drafty window feeling entirely. 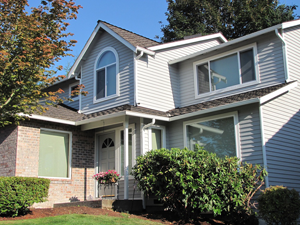 We have installed vinyl windows in the Northwest since they came on the scene in the early 80’s. Not one of our thousands of satisfied customers has ever stated that they did not receive a transformation of their living environment beyond their expectations. Replacement vinyl windows for your home are a decision you will never regret. As a property owner in Bellevue, WA and the surrounding areas, you know getting the best possible windows for a property can make quite the difference to a structure’s value. It is easy to see the importance of windows to a building. 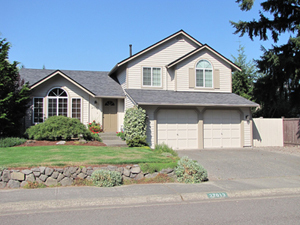 You can get great ideas on style and color by taking a drive through Bellevue and the surrounding communities. With the number of options available, getting the right windows is crucial for all commercial and residential property owners. Contact Valley Glass today for a free estimate at (253) 852.4460. Rely on us for quality, experience, and all your glass needs!